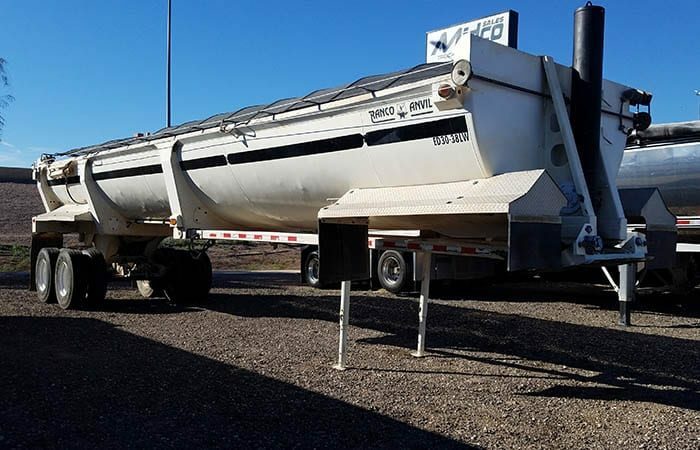 Midco Sales has reduced the price on a used Ranco end dump trailer to $29,999. This 2007 Ranco LW30-38 end dump measures 38 feet long and has a 30 cubic yard capacity. It has just been equipped with a new tarp and a new hydraulic cylinder. It has a single point suspension system, half-round tub, electric slide tarp, and high lift tailgate. Midco Sales is the Ranco trailer dealer in Arizona and also has new Ranco end dumps in stock. Visit the dealership in Chandler, AZ, to see this trailer in person.